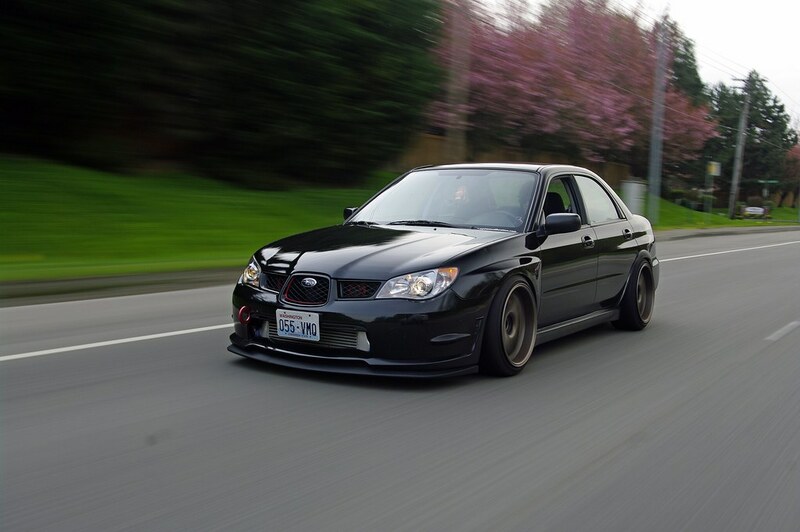 Again with the rolling shots? Yeah, pretty much. Seeing car in motion is always a beautiful site for me and what I mean by functional, I don’t mean rally racing of even in the mud/dirt but just driven. Cars aren’t meant to be display pieces unless you’re talking Ferrari’s and Lambo’s. 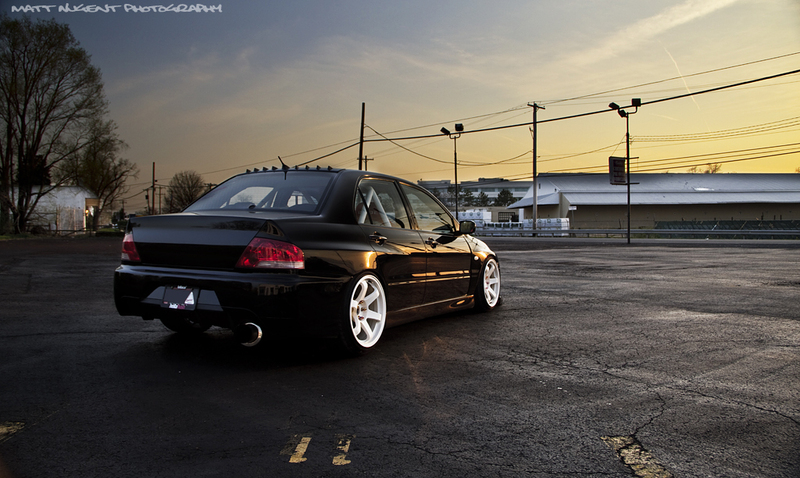 Cars like this Evo aren’t meant to be driven and enjoyed. 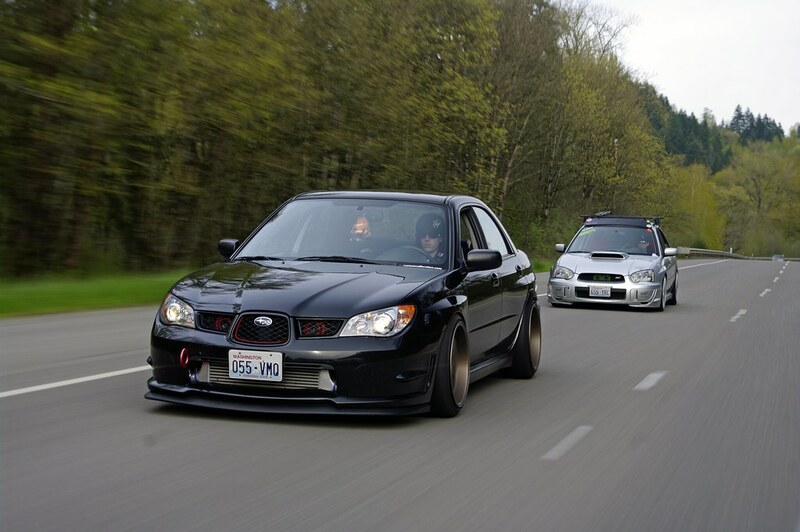 This owner is doing just that and enjoying his car. The white wheels definitely stood out to me and made me want to share the car with you. Not usually a fan of white wheels on dark cars but it works here. Don’t agree with the wheel brand company but to each their own. The style is there and the pics are sick! Lack of updates, website under construction = clusterfu@# that needs to be done. I figured I should probably post something to keep our audience of 5 coming back for more. Haha. 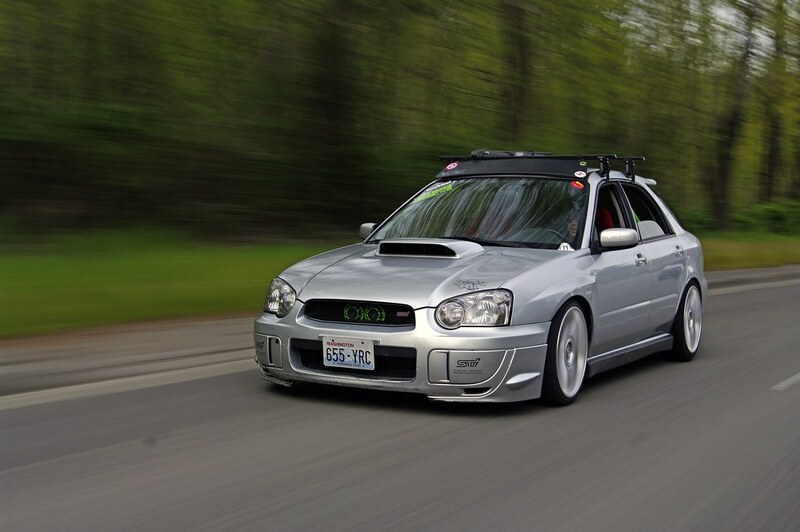 Browsing the web I stumbled across this awesome pair of Subi. 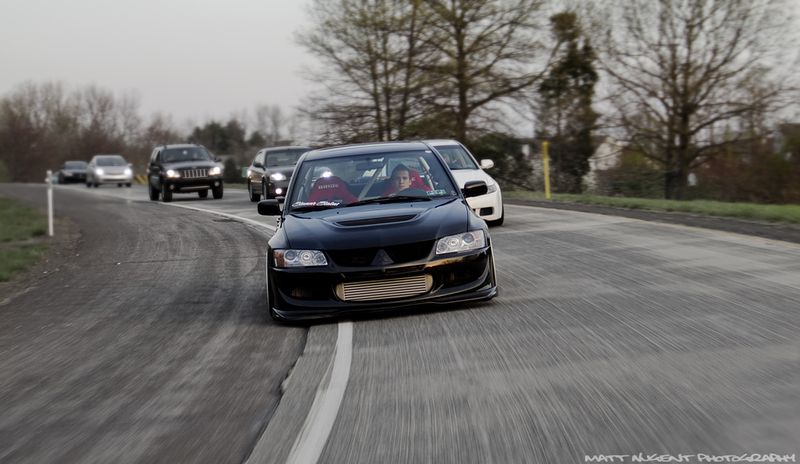 Being a fan of rolling shots I had to post this. Love the look and street function these 2 bring. You be the judge would you rock both of these or one more then the other. I like them both and take either one.